. What: ingredients for ice cream and gelato naturally originated. You can buy ice cream ingredients as we can sale. Stabilizer, ready mix, aromas, powders. Ingredients for fruit sorbetto, sherbets, sorbets, powders for many flavors. Where: Bangkok, Phuket, Chiang Mai, Pattaya (Chonburi) and all Thailand. Why: to give a better taste to your ice cream. When? Every time you need it. We have ready mix: it is enough to add water and you will have the ice cream ready! Please call 021708640 for more information. Good fresh ice cream at low cost as you make yourself. Or you can buy neutral stabilizer and emulsifier: few grams per kg to get a soft and stable ice cream or gelato. Check our products: you will find your quality ingredients to make your ice cream or gelato. We can supply personalized ingredients for your ice cream production choosing the stabilizer, the creaminess, the sweetness and more depending on your machinery and personal recipes to implement with our Italian gelato pastes. Ingredients for ice cream. Ice cream is not only a cold product with a layer of taste. It is a well balanced combination of solid and liquid ingredients plus air. If only the amount of one of these parts is too much or too little the balance is lost and then the ice cream became a poor cold dessert. 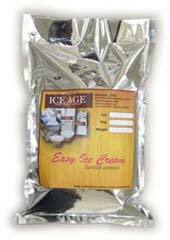 Open a bag of Gelato base Easy Ice cream 1200gr. Choose between chocolate, green tea, coffee, cheese cake, yogurt, coconut, lemon sherbet, vanilla. Put it in the ice cream machine, follow the manufacturing timing of the machine and get your tasty ice cream done in matters of minutes! Nice smooth fresh ice cream ready to sell! Total = 422 baht for 3.2kg of ice cream at less than 132 baht per kg! Total = 543 baht for 3.2kg of ice cream at less than 170 baht per kg of soft, creamy premium ice cream! Chocolate, vanilla, coconut, yogurt, cheese cake. You can also play around with proportion of water/milk/cream to reduce food cost. What is a base? In the ice cream and gelato field a base is a powder that when is mixed with water and or milk and few other ingredients will result in a creamy gelato. After of course using an ice cream machine. Mixing the same ingredients of an ice cream recipe but without a base will probably obtain a very strong and compact ice cream that after 1 hour in the freezer will be very similar to a block of ice, impossible to scoop, serve and impossible to enjoy it! Neutro 5AU This is a thikner/emulsifier. Use only 3 to 5gr per liter of milk. Gelatobase 100 AU An all in one gelato base. Use 100gr per liter of milk. Neutro Finissimo This is a thikner/emulsifier. Use only 5gr per liter of water. Vegetal fruit 50 All in one sherbet/sorbet mix. Use 50gr per liter of water. Vegetal Lemon 100 Complete mix for lemon sherbet/sorbet. Use 100gr per liter of WATER. A chocolate base, in this case, is a base that also contain the flavors and the cacao so it will be very easy to prepare the final product: gelato al cioccolato. Cioccogel 100 Complete chocolate base. Use 100gr per liter of MILK. Download the catalog of our bases with prices. This is a cream. A chocolate cream that can be serve as it is, little hot for some chocolate lovers, or cold or serve as an ice cream. It stay soft even in deep freezing condition. 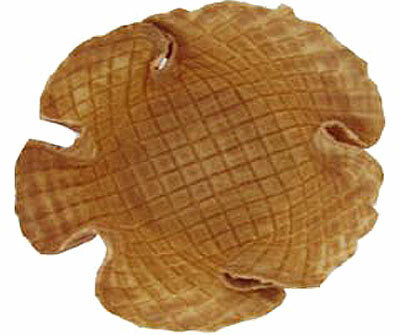 Usually is more used to decorate ice cream, create nice layers effects and coating part of ice cream or entire scoops. Cremino Brunella Ready to use filler or cream for decoration or to serve as it is. It stay soft till -18! Gelato or ice cream paste is a concentrated substance extract from natural fruits or other products (eg: cocoa powder, vanilla beans...) with addition of sugars like sucrose, dextrose, glucose and eventually a thickner agent. 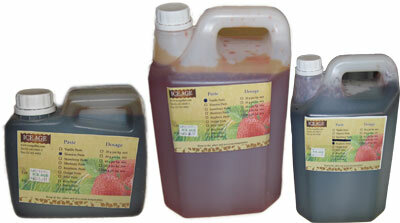 The pastes are excellent for ice cream and bakery making. Our pastes can replace or used together with real fruits or other products like cocoa powder, vegetable and more to enhance smoothness of ice cream texture, reduce hardness of the ice cream and help reducing cost and timing of ice cream production. Download the catalog of our pastes with prices. What is variegato? Variegato (variegati = plural of variegato in Italian) is a special topping made for gelato. Variegati are not really toppings, are a real part of the gelato. It gives a boost on flavor and in the look. When melting in mouth with gelato create a sort of concert of flavors. You can transform a "boring" vanilla ice cream in a special dessert! Variegati are really creamy. Can be used as toppings, decorations, rippling sauces, filling cream, flavor boosts and any other idea you can think. Can be directly pour in to the ice cream machine at the beginning of the process to increase flavor or for mix 2 flavors. Can also be drop almost at the end of the ice cream production process to give a nice note with colored stripes to the ice cream. Variegato Crunchy Choco Nougat Cream A fluid paste with taste of Cocoa and Hazelnut with chopped hazelnut and biscuits! Variegato Moka Nut Fluid paste with taste of Cocoa Hazelnut with Meringue mignon and Coffee flavour. Variegato Red Velvet A red chocolate decoration and boost: Chocolate Sponge Cake flavor, enriched by sponge cake grains. Italy is famous for the gelato and everything rotate around the gelato and ice cream world. But in Thailand we do have great natural fruit: from the typical cultivation like mango, lynchee, pineapple, passion fruit, durian, banana to more recent agricoltural development like strawberry, various berry, grape. Thailand is also in the middle of South East Asia and has easy access to other products like green tea, Japanese charcoal, Chinese apple and much more. We can so provide a variety of very taste and local paste produced with the experience of Italian gelato chef and local natural flavors and products. Also the price can be quite convenient. Strawberry Paste (02-PS001) Use 80-100g. of Strawberry paste with 1,000g. of milk base or Sherbet/Sorbet base to make 1,000g. of Strawberry ice cream. Price 450 THB/Kg. Raspberry Paste (02-PR001) Use 80-100g. of Raspberry paste with 1,000g. of milk base or Sherbet/Sorbet base to make 1,000g. of Raspberry ice cream Price 480 THB/Kg. Orange Paste (02-PO001) Use 60-80 g. of orange paste with 1,000g. of milk base or Sherbet/Sorbet base to make 1,000g. of Orange ice cream. Price 400 THB/Kg. Mint Paste (02-PM002) Use20-40 g. of Mint paste with 1,000g. of milk base to make 1,000g. of Mint ice cream add some chocolate to become mint chip. Price 450 THB/Kg. Peach Paste (03-PP001). 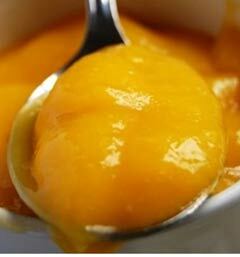 Peach Paste use 80-100g. with 1,000 g of sherbet base. Price 450THB/Kg. 02-PA001 Amaretto 1,000 baht per kg. 02-PC001 Croccantino	1,000 baht per kg. 02-PH001	Hazelnut	1,800 baht per Kg. 02-PP001	Pistacchio	1,800 baht per kg. 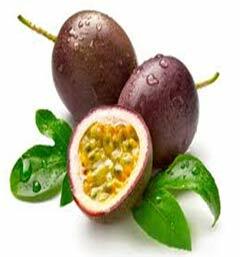 passion fruit and mango paste Mango Paste and passion fruit paste use 80-100g. with 1,000 g of sherbet base. Price 550THB/Kg. Some flavors are prepared in a powder form instead of a liquid/jelly composition. You can still call gelato paste or powder. Lemon Powder (03-PL001) Lemon Powder with Stabilizers. Use 80-100g. of lemon powder with 1,000g. of Sherbet/Sorbet base to make 1,000g. of lemon sherbet ice cream Price 450THB/Kg. Yogurt Powder (03-PY001) Yogurt Powder Use 50-80g. of yogurt powder with 1,000g. of milk base to make 1,000g. of yogurt ice cream Price 500THB/Kg. Suggestion use with some Blueberry , Strawberry , Raspberry topping to mix and finishing the ice cream to become yogurt fruit flavors. 1 Kg 450THB. 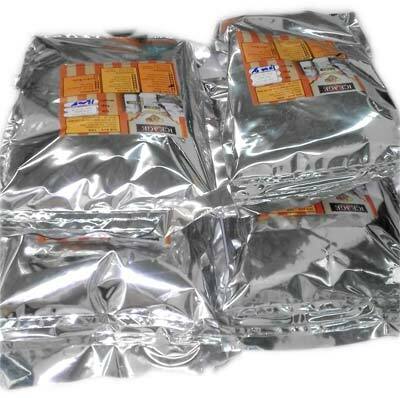 Chocolate Powder (03-PC001) Chocolate powder Use 80-100g. of Chocolate with 1,000g. of milk base 1,000g. Price 330THB/Kg. Green tea Powder (03-PG001) Green tea powder Use30-60g. of green tea powder with 1,000g. of milk base to make 1,000g. of green tea ice cream. Price 1,000g / 2,000THB Package available 500g / 1,000g. Download the catalog of our pastes made in Thailand. Gelato Base or White base is Ready Gelato or Ice cream base: just add water into the powder then add the flavors, mix and it is ready for the machine. Gelato base powder is made in Thailand with milk powder form New Zealand, Stabilizer, Fat, Sucrose and more ingredients. 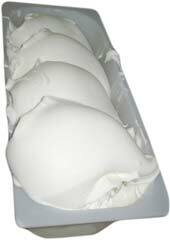 For a premium gelato you can add also 300gr of whipping cream to the above bases. The following bases instead are to be mixed with water only. Sherbet Base 1 bag contain 850g. You can add 1500g of water and fresh fruit for a refreshing sorbet. It does not contain dairy. Soft serve: the easy solution Ice Age soft serve powders are ready for use, ice cream soft serve plug and play! Very tasty too. You don't need a lab! You don't need freezer storage. You don't need to worry about advance order. Just stock the powders and start to sell fresh ice cream with your soft serve machine. You just need a place where people stroll and walk around, a machine and a cashier. 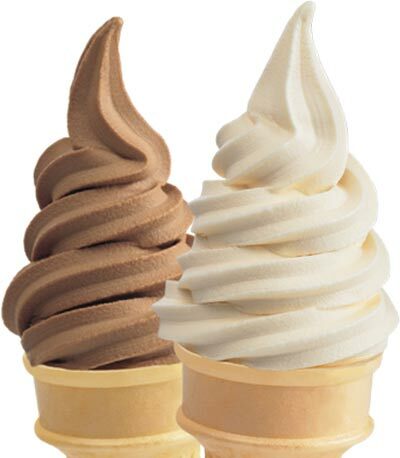 Soft serve ice cream is very popular nowadays in business. This is the reason of the interested in this kind of ice cream. Soft serve is very creamy and light. You can create a low cost and time saving instant business. We use top quality raw milk selected from New Zealand. Rippling sauces to decorate ice cream, coat scoops, give a strong kick to the taste and create Italian style Variegato. 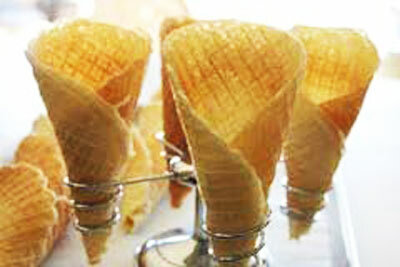 Cones: Sugar cones and waffle cones the 2 more usual cones aUsual sugar cones are made on the spot. Basket cone. Delicious waffle basket for original gelato cups with lots of topping and fresh fruit. Soft serve cones the cones for the soft serve ice cream. The most economical solution for good volume of sales. 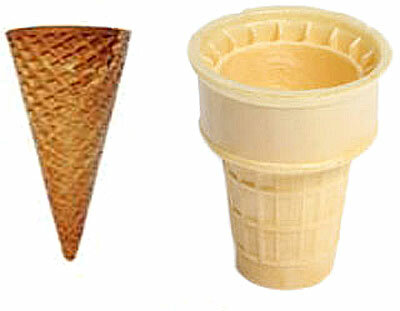 Download the catalog of our easy ice cream ingredients: soft serve, topping and cones. 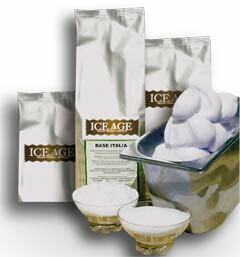 Professional ingredients for ice cream maker and chefs. Natural additive and raw material. All for professional use. Ice Age powder for gelato are easy to use: mix few grams depending on the kind of powder with the base, add milk, sugar, fresh fruit, water (instruction included) and you'll have your homemade ice cream ready. Add some other ingredients as you like. Whole Milk powder (NZ), Skim milk powder (NZ) Dextrose, Maltodextin, Citric acid, Guar Gum, Carrageen, Sodium carbonate CMC (stabilizer), Sherbet Gel (fat), Neutro 10 (10gr per kg), Neutro frutta (10gr per kg) and more. Download the catalog of our professional ice cream ingredients.